How Does A Nevada Divorce Actually Work? 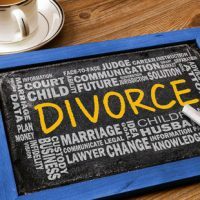 For a variety of reasons, many people have a somewhat inaccurate view of how divorce actually works. This is especially true in Nevada, given the pop culture depiction of the state as a place where divorce is very easy. As in every state, a divorce is a proceeding that is taken very seriously. If you are about to get a Nevada divorce, it is a good idea to familiarize yourself with how the process actually works. Before you can even file suit, there are certain criteria that you must be you meet. Nevada does have a residency requirement, though at six weeks, it is generally shorter than most other state’s. In other words, at least one spouse must live in Nevada for at least six weeks prior to commencing a divorce action. Once you are able to show you have met the criteria, you may bring suit, by filing an initial Complaint. Nevada is a notice pleading state, so very little is required in the way of identification of specific division, however you can also be more specific and identify your “wish list” in terms of asset distribution, child custody and the like. The rest of the process depends on what you have and what you do not: namely, significant assets, children, and a disparity in earning power. Nevada does offer what is commonly referred to as a “summary” divorce, meaning that you and your soon-to-be ex-spouse agree on all the substantive issues and meet the other criteria. If you are ineligible for a summary divorce, you and your spouse will have to work out (usually with the court’s help) issues like child and spousal support, and who receives which assets. Nevada is a community property state, meaning that all property is evenly split between the spouses, unless a prenuptial agreement or other controlling document has been signed, or you qualify for one of the rare exceptions. Any assets that you brought into the marriage, however, will likely remain yours, with extremely rare exceptions. Once all issues have been decided, the decree will be filed, and you will be officially divorced. While you may think you know all there is to know about the divorce process, there are many details that laymen miss. Having a knowledgeable divorce lawyer on your team to help you can be a huge advantage. The lawyers at the Kainen Law Group will do our best to guide you through the process. Contact us today to set up an initial consultation.